Colorful, picturesque artwork. Looks almost like a comic book. I like this film but it's not even close to being as good as HERCULES, which was made 4 years after this. The same boat was used in both films. Normally I agree fully with your observations, but not this time. 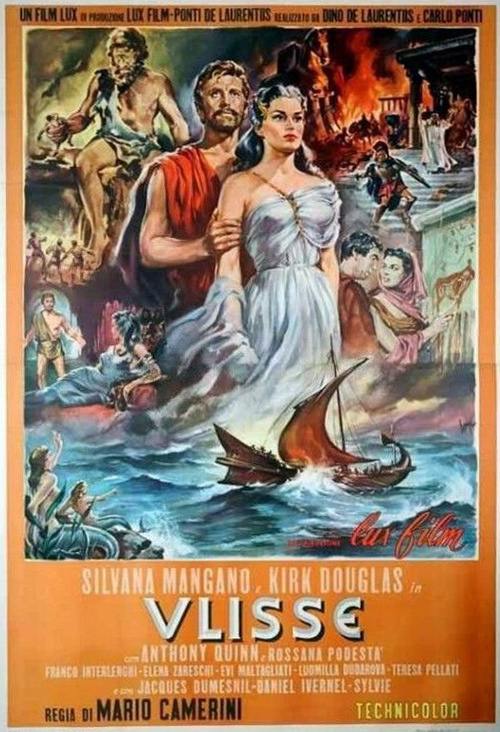 In my view "Ulysses" is a terrific Peplum, equally as good as the outstanding "Hercules."